System administrators and other IT practitioners spend as much as 50% of their time on routine, repetitive tasks. Does the following apply to your organization? You go from one server to the next, installing the same package on all of them. It works nine times out of 10, but the tenth time causes a failure ... and you can't identify what went wrong. You can't scale. When the business wants to move to the cloud, or asks for faster provisioning of development and test environments, you only have so many hours in the day — and you can't meet everyone's needs. You don't have time to get to the work that matters. You spend too much time on routine system management, and can't prepare for the projects that will bring real business value to your team — and customers. With growing demands from all corners of your organization, you simply can't keep doing it all manually. 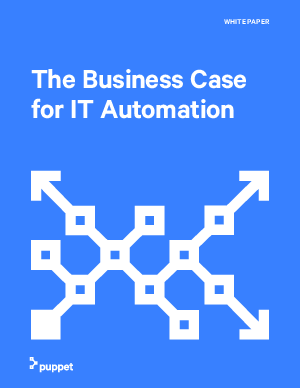 Download this paper to learn how you can benefit from automation, and how IT infrastructure can become a strategic asset for your organization.